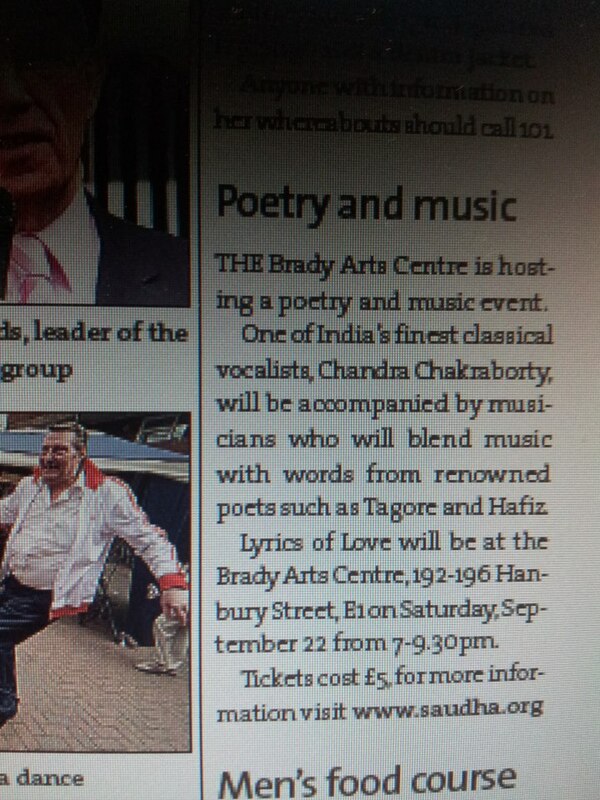 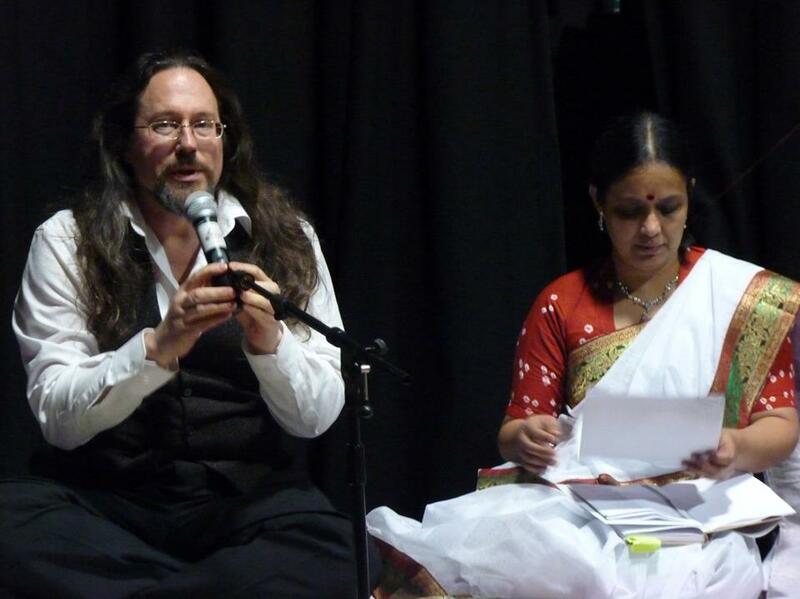 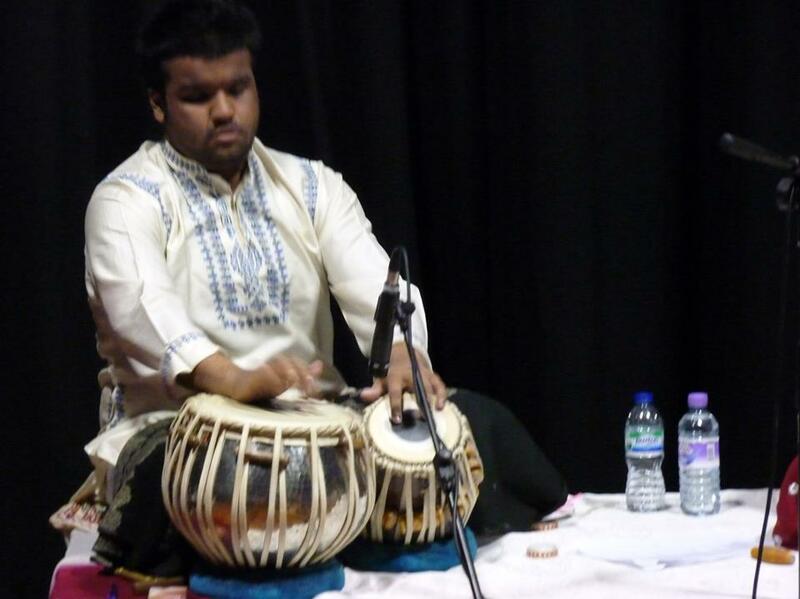 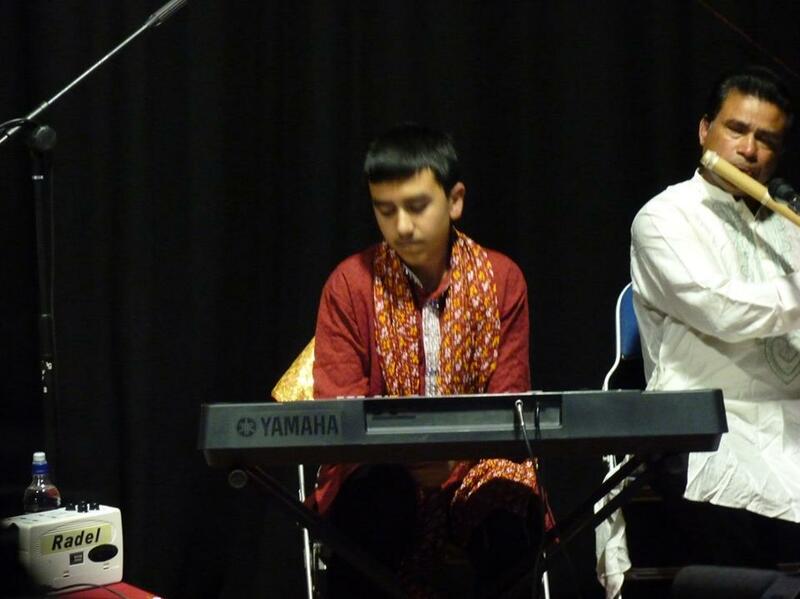 An evening of world poetry and classical music (supported by Tower Hamlets Council) at Brady Arts Centre which were set harmoniously to propagate the message of love through transcendental music and hunting poetry. 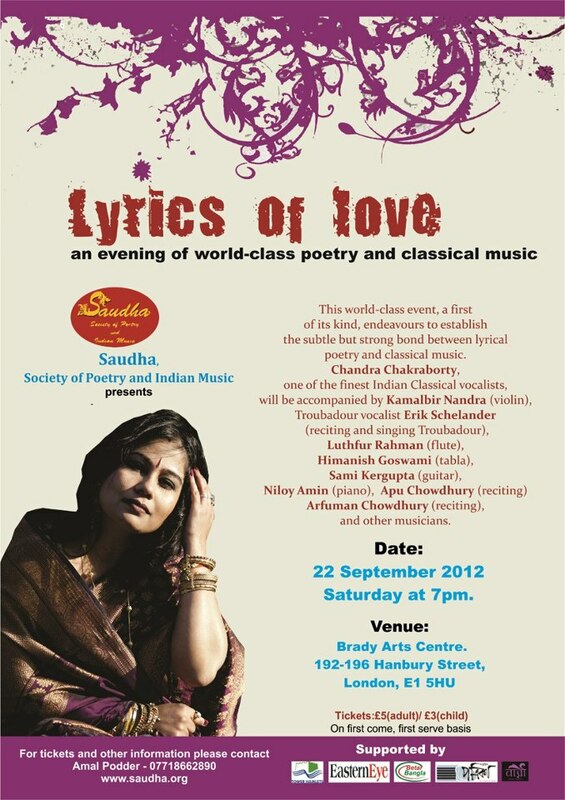 This world-class event endeavored to establish the subtle but strong bond between lyrical poetry and classical music. 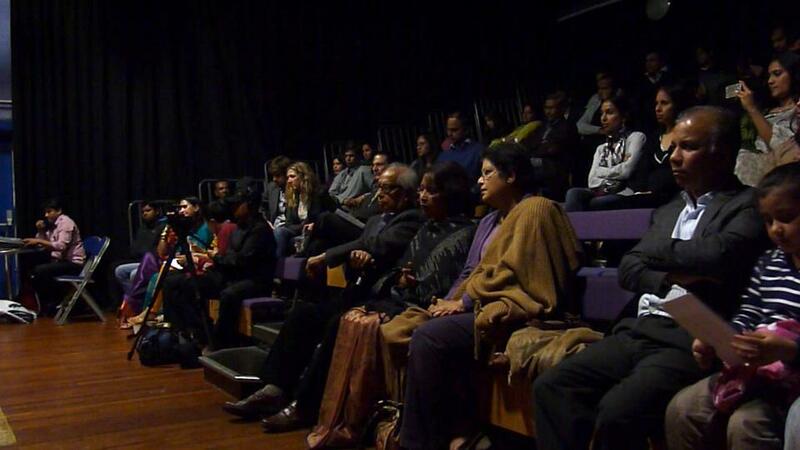 The central concept was to hybridize the wide spectrum of music and literature around the globe in order to cross cultural barriers and promote deep humanism that lies in the content of music and poetry. 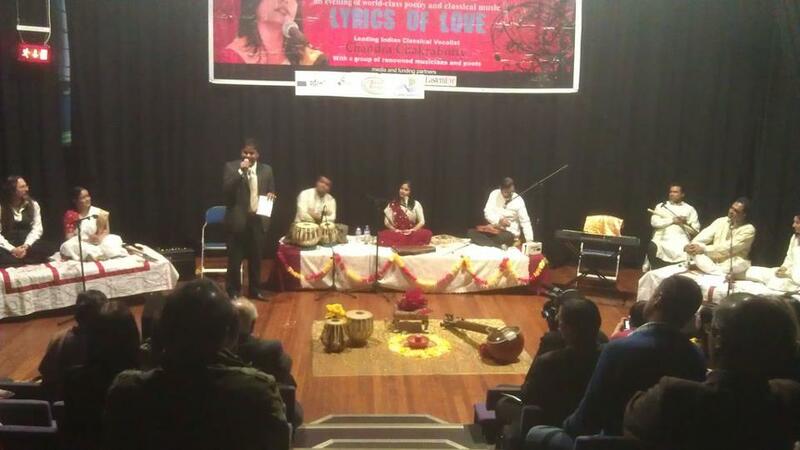 Translations from Tagore, Gualib, Hafiz or Rumi (along with the original verses in Bengali, Urdu and Persia) were set to the melodies of Indian ragas and verses of contemporary poetry are blended with kheyal and thumri creating a colourful and serene ambience. 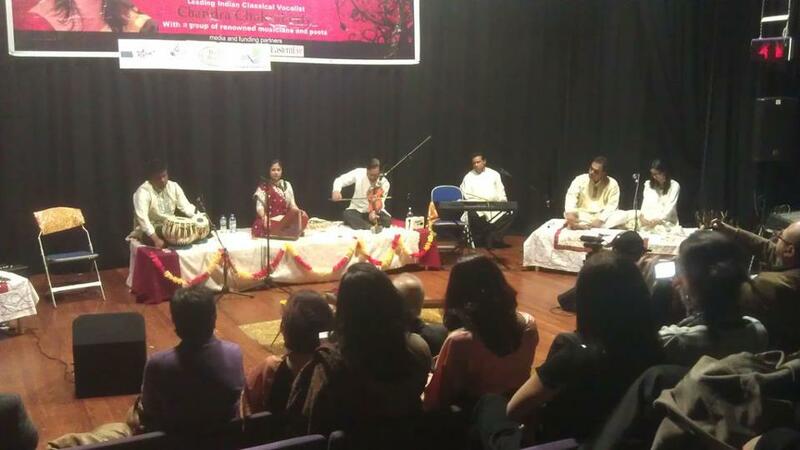 Chandra Chakraborty, one of the finest Indian Classical vocalists was accompanied by Kamalbir Nandra (violin), troubadour vocalist Erik Schelander (reciting and singing Troubadour), Luthfur Rahman (flute), Himanish Goswami (tabla), Apu Chowdhury (Reciting) Sami Kargupta (guitar), Niloy Amin (piano) Amal Podder (mandira), Arfuman Chowdhury (reciting) and other musicians. 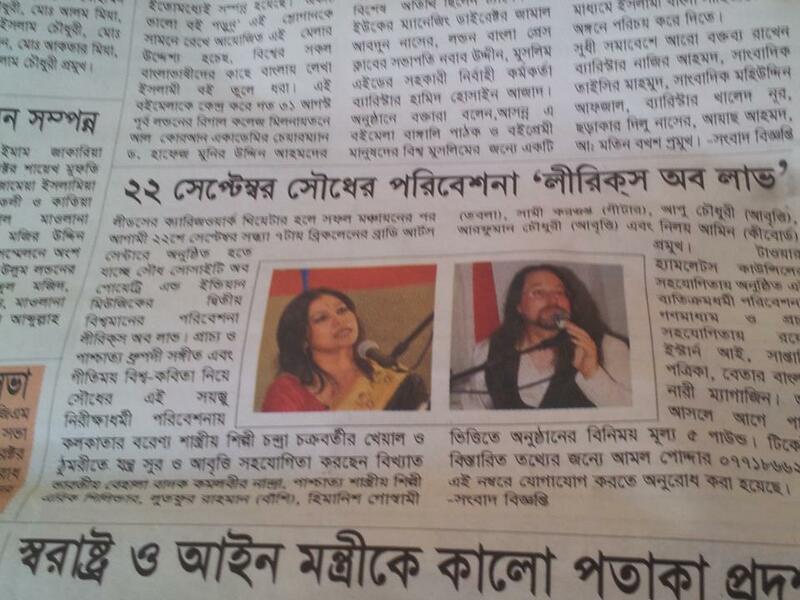 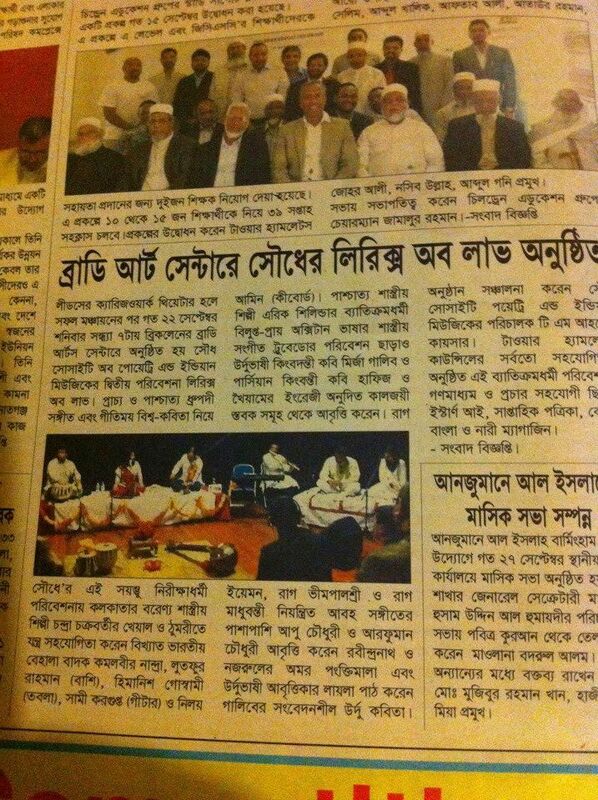 Eastern Eye, Saptahik Potrika and Betar Bangla were media partner of this evet .